picture credit: The Cartoon Network, Inc. A Time Warner Company. The very next day you’ve already managed to binge the first season of Rick and Morty (2013 – present). 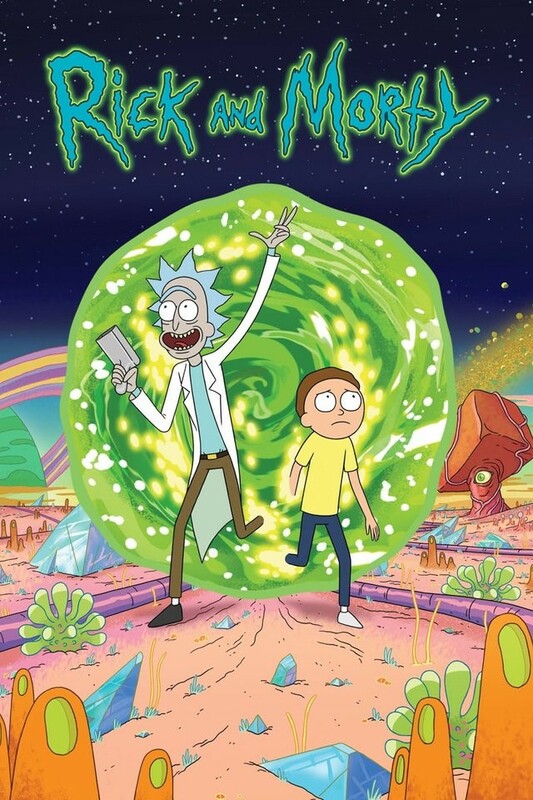 You’ve witnessed a grumpy, drunk, strangely likable genius scientist and inventor named Rick Sanchez (voice by Justin Roiland, showrunner and creator of Rick and Morty, alongside Dan Harmon) drag his socially awkward, anxious, good-natured grandson Morty (voice by Justin Roiland, too) into unlikely adventures, oftentimes exploring strange planets filled with weird creatures, or alternate universes populated by alternate versions of the characters. Even though the show is a stream of unpredictably crazy, ridiculously unreal events, places, and beings, it’s still science fiction. Some of the inventions and concepts have a connection to real science; one of the show’s main plot devices is for example based on the Many-Worlds Theory, purported by numerous physicists, and occasionally neuroscientific ideas are used to back bizarre plotlines. However, it’s not the kind of show kids should watch to learn something about science. First of all, it’s remarkably gory and violent at times, so I could imagine young children – or just about anyone for that matter – getting nightmares from weirdness that is this show. Secondly, anything this series borrows from real science is unblushingly and unrelentingly exaggerated and fictionalized. Above all else – even above its nightmare-inducing qualities – Rick and Morty is incredibly funny! As ‘out there’ as the show’s premise seems, the many weird worlds of Rick and Morty are populated by characters that feel remarkably real, relatable, and thought provoking. Rick’s reckless nihilism constantly challenges any concept of a meaning of life, and Morty’s insecurity is fundamentally human. Additionally, supporting characters, such as Morty’s slightly older teenage sister Summer (voice by Spencer Grammer) as well as their mismatched parents, contribute to a set of characters that engage mind and heart – without ever coming close to anything that could be considered kitsch. At the end of the day, the craziness of Rick and Morty feels oddly honest and clever. After all, who of us hasn’t considered turning themselves into a talking pickle to get out of an inconvenient social obligation at some point or another? In Germany, you can visit the universe(s) of Rick and Morty on Netflix and on the television channel TNT-comedy, where it’s part of the [adult swim]-block.